I have been involved with NARI of Greater Cleveland for over 30 years and the staff is one of the finest executive staffs in the nation. The Cleveland Chapter is professional and serve the community with outreach projects lead by the executive staff and remodeling professionals. 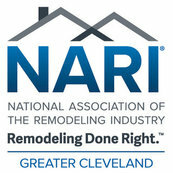 I am proud to be associated with NARI of Greater Cleveland.